Brandon Crosby came to Durango in February 2017 to get his first chance to call plays for an NCAA Division II football team. 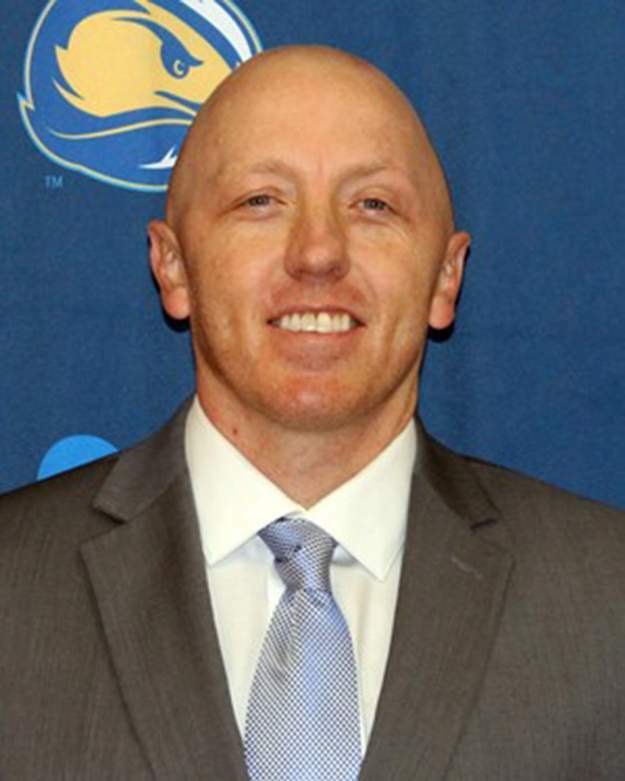 Less than a year later, he has full control of the Fort Lewis College program. Crosby, who will turn 38 on Monday, was named the interim head coach Wednesday by FLC athletic director Barney Hinkle. The news came the same day former head coach Joe Morris announced he would leave the Skyhawks’ program to join West Texas A&M as defensive coordinator of the Buffs in the Lone Star Conference. Morris tried to take the Skyhawks’ offense in a new direction in 2018. The former college wide receiver for Baker University and Saddleback Junior College came to FLC from the University of Nevada where he was the quarterback quality control coach and a graduate assistant who oversaw the wide receivers. Hopes to expand the FLC playbook were shelved when sophomore quarterback Jake Lowry was injured only three games into the season. He was replaced by senior Nick McNamee, who had never started a game in his FLC career. An injured McNamee was eventually replaced by Erik Ornduff late in the season. The Skyhawks finished with an RMAC-worst 1-9 record behind the sputtering offense that even saw wide receivers line up at quarterback during the season. FLC ranked ninth in the RMAC with only 22.3 points per game and was 10th out of 11 RMAC teams in total offense at only 294.9 yards per game. The team combined for 1,989 passing yards, 18 touchdowns and 21 interceptions. FLC also ranked last in the conference in rushing offense at 96 yards per game and scored only eight times on the ground. Morris said much of the failures weren’t because of Crosby. “I’ve been more than impressed with (Crosby),” Morris said. “Sometimes you look at our offense and the success we had, it’s not necessarily where you want to be, but sometimes there’s not enough bullets in the gun. It’s not the shooter’s fault, if that makes sense. Crosby has been hard at work on the recruiting trail this offseason and has landed three Division I transfers and a pair of Division II transfers. He hopes to bolster the class in a few weeks when National Signing Day rolls around the first Wednesday of February. Hinkle said Crosby will have a chance to shed the interim label and has already been impressed by his recruiting efforts. Lowry is set to return from injury and expected to compete along with Wyoming transfer Isaac Leppke to be the team’s starting quarterback. Leppke, who played wide receiver at Wyoming, said Crosby was a big reason he selected Fort Lewis instead of smaller Division I schools or other Division II offers. Crosby said it will be key to design the offense around the Skyhawks’ roster moving into 2019. Crosby will call the FLC offensive plays, while Jeff Nady was promoted from offensive line coach and run game coordinator to the title of offensive coordinator. Crosby is originally from Newport, California, and graduated from Corona del Mar High School. He has coached every offensive position except the line. Before his time in Nevada, he was a receivers coach and recruiting coordinator at West Texas A&M. Prior to that, he coached running backs at LaGrange College, receivers and tight ends at Saddleback College and receivers, running backs and tight ends at Willamette University. Now, he’s eager to lead the Skyhawks, who have only 11 winning seasons since 1963.